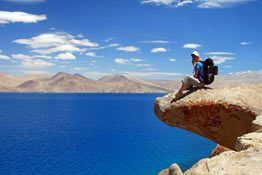 One of the best ways to explore the Himalayan region, trekking in Ladakh has always fascinated people from around the globe. 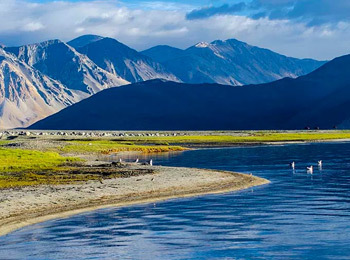 The harsh yet beautiful region of Ladakh can be explored via various trek routes. Quite popular amongst them is the trek route between Rumtse and Tsomoriri. 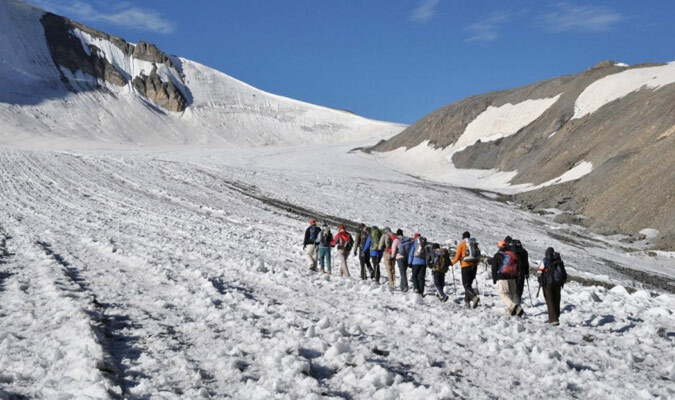 The amazing 11 days trekking route is filled with various ups and downs of the high passes and snow clad peaks. 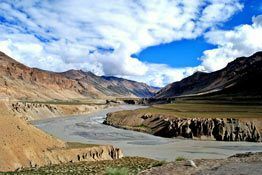 Besides braving the different forms of Ladakh, one can also feel religiously obliged at the numerous Buddhist monasteries on the trek. 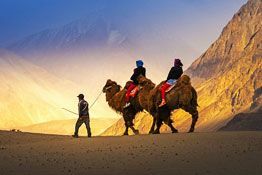 Pack your bags for a day-tour of the Indus valley, which includes trips to the Shey Palace and the magnificent Buddhist monasteries-Thiksey, Hemis and Stok. Market strolling of Leh is assigned for the evening. Post that, retire at the hotel for an overnight stay. Post breakfast drive to Rumtse via Leh-Manali highway. The first phase of trekking starts from Rumtse to Kyamar (4000 m). Moving on with the trek, you will come across a pasture valley where the nomadic herders or Changpas bring their yaks & goats to graze on. Trek on the ancient salt lake route and settle for an overnight camp at Kyamar. From Kyamar, trek towards Tisaling. On the way, you will come across the Kumur La pass( 4770 m). At the top of the Kumur La, you can watch the breathtaking view of the snow-capped peaks of Ladakh including that of Mt. Kangyatse. On reaching Tisaling call it a day and camp overnight. Embark on an early morning trek towards Pangunagu. While trekking, halt at the Shibuk La pass and enjoy the panoramic view of the Tsokar lake. The Tsor lake attracts a lot of migratory birds and is an ideal spot to watch them. On crossing the lake, you would be expected to enter the Rupshu valley. The next stop of the trek is at Pangunagu where you can rest for the night at a camp. Do some sightseeing and bird watching at the Tsokar lake and just at the end of the trail, make a right and enter the Nuruchan village. Retire at the tents for an overnight stay. This day is strictly dedicated to trekking along the highest elevation of the entire trek. 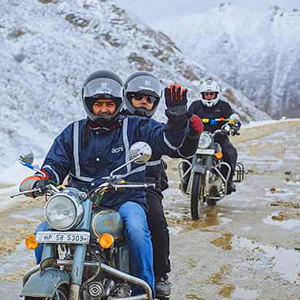 On the way, you would be expected to come across the major passes like Horlam Kongka La and Kyamayuri La. Following this, you will reach Gyamabarma where you will stay for the night. From Gyamabarma, start the trek over Yalung Nyau La, the highest pass on the trail. From the top of the pass, you can enjoy the mesmerizing views of western Tibetan peaks. The pass will lead to Korzok, which is the only settlement on the banks of Tsomoriri Lake. On arrival, you would be visiting the Korzak monastery. Overnight stay in tents. Post breakfast drive to Leh all along the Indus river, which is around 220 km from Korzok. On the way, visit the Chumathang hot springs which are believed to cure medical ailments. Arrive in Leh by evening and check in at the hotel for a night stay and dinner. 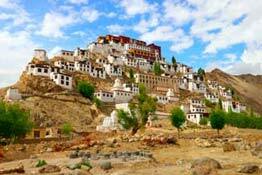 Start your day with a visit to the Alchi monastery. 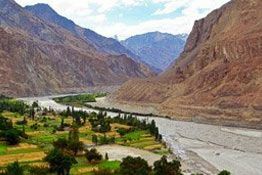 Post that visit the great statue of Maitreya Buddha at Likir monastery which is situated at the confluence of Indus and Zanskar river. Drive back to Leh and retire at the hotel for an overnight stay. Take the early morning flight from the KBR airport for a return home journey.